The delights of boutique hotels have turned vacationing in Perth into a holiday-maker’s dream. The new Alex Hotel knows just how to make you feel at home. The Alex Hotel greets you like a super stylish old friend. The Northbridge-based site is one of the latest spaces vying for attention in the trend of boutique hotels that are bursting with personality. The 74-room boutique digs opened in May 2015, developed by the same minds behind iconic Perth brew house Little Creatures. Turns out, they can bring their craft beer sensibilities to hospitality, with unique boutique style accommodations brimming with an edgy but homely vibe. The team has created a place for inquisitive travellers with a love of style. The hotel interior has been designed by Sydney powerhouse Arent & Pyke, with communal areas expertly layered with luxe oriental-style rugs, and big, comfy textured lounge chairs. Light-filled spaces are highlighted with elaborate pendant style lighting and show-stopping pieces of art. 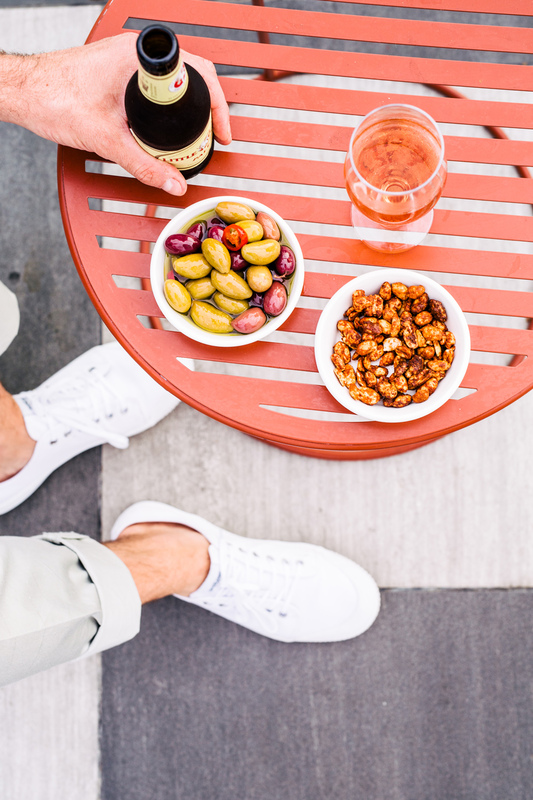 The Northbridge-based site is one of the latest spaces vying for attention in the trend of boutique hotels that are bursting with personality. Arent & Pyke treated the lobby and communal spaces as places for living. More lounge room than lobby, the spaces layer lush fabrics and colours that are a world away from stark clinical hotel living. Layer this with outdoor terraces and a rooftop garden and who wouldn’t feel at home? With a nod to hipster culture, a fleet of Dutch Lekker bikes stand ready for exploring at the hotel entrance. They are free for guests to jump on and explore the cafes, restaurants and retailers dotting the neigbourhood. Northbridge is also just moments from Perth’s CBD, with galleries and theatres just a stone’s throw away. Hotel General Manager Miles Hull says the hotel took a “modern and fresh” approach. “Our desire is to create an engaging hotel that provides guests with a warm sense of traditional hospitality, with a modern and fresh approach, all wrapped up in a location that has everything on the doorstep,” Miles says. The communal areas are designed for group use as well, fostering space for creative and imaginative thinking. 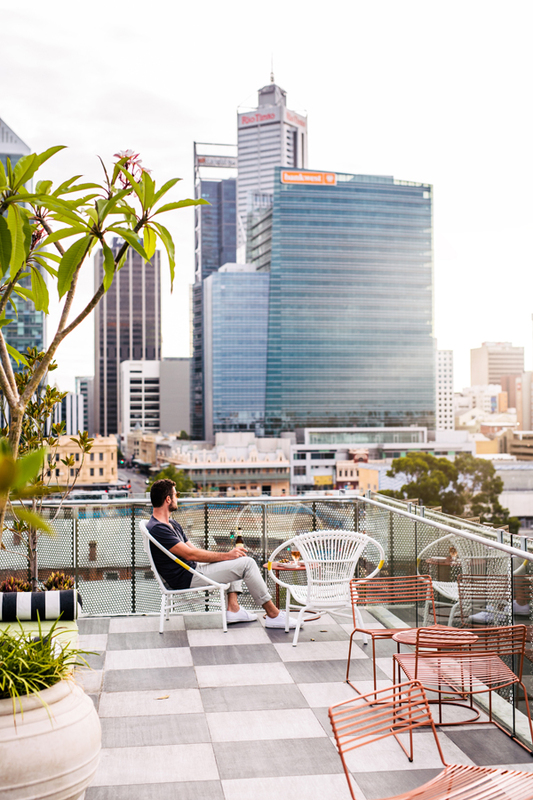 The roof top garden terrace and meeting room offer breathtaking views of the Perth city skyline. Like what you see? Click here to book a room.